Y’all know how I feel about my girl Ree Drummond, aka Pioneer Woman! And be sure to subscribe for free weekly recipes & giveaways delivered straight to your inbox! 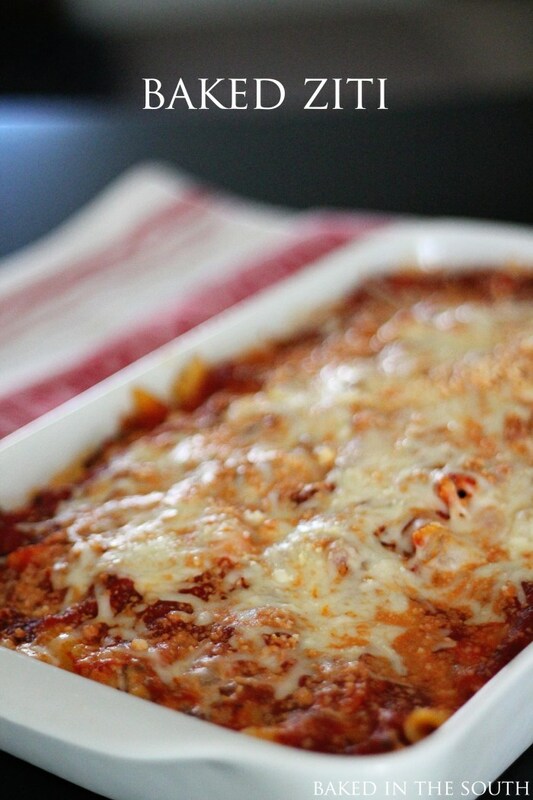 Here is one of my all time favorites, Pioneer Woman’s Baked Ziti! and here is the best roast you’ll ever make! Add carrots to pot and cook until slightly browned. Remove the carrots and place with the onions. Add more olive oil to the pot. Sear the meat for about a minute on all sides until it is nice and brown all over. Remove the roast and tent with foil. Deglaze the pot with either red wine or beef broth (about 1 cup) scraping up the brown bits on the bottom. Place the roast and vegetables back into the pot and add enough beef stock to cover the meat halfway. Put the lid on, and cook on low-medium heat for 4-5 hours. 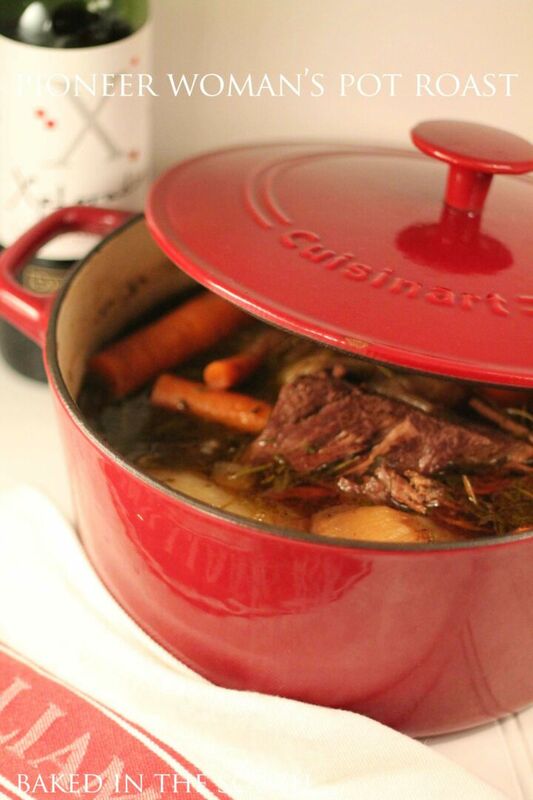 Love the pot roast recipe – I do one almost exactly like it. But question is, are you advertizing for Cuisinart or show us the roast? Hmm. . . It is fantastic Emma! Hope you enjoy! This is an excellent Pot Roast! Thank you for sharing your recipe. You inspired me to cook more! It is seriously the best Pot Roast recipe ever! Thanks for stopping by! This is cooking now and the house smells soooooo yummy!! Can’t wait!! sooo good! I made it for a friend this weekend:) he loved it! I’m making this today! Will let you know how it turns out! GREAT! I did add potatoes to this recipe. I peeled, quartered and browned them just like the other vegetables. 275 in the oven for around 4 hours. Thickened the gravy with a little corn starch and enjoyed. It was DELICIOUS!!!! This is the BEST roast I have ever made. I added sliced white mushrooms and sautéed them after I took out the carrots and then followed the recipe. I might add some garlic next time and I might try it in the oven after I brown everything. Tonight I served with mashed potatoes and everything was to die for! This is now my go-to Pot Roast. Thank you!!! I was unable to sign up for email Newsletters. 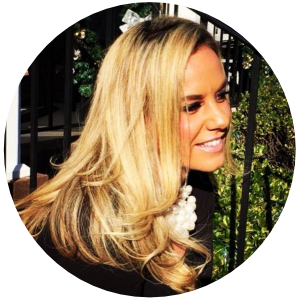 Would love to receive your newsletters if possible. Is the roast cooked to well done? I’m pregnant, so I am extra careful right now. Can this be put into the oven and cooked? If so, for how long? Do you have preference? you should prepare it over the heat and then braise it in the oven:) it comes out best this way! What size dutch oven did you use? I have a 3.5 quart..will that work? Thanks! that should work, just buy a smaller roast and use less vegetables & less liquid. Can the red wine be substituted for something else? I have to eat kosher foods! This recipe sounds n looks yummy! I have this cooking now and it smells AMAZING!! Can’t wait to try it! Will be serving with some roasted red potatoes. I am cooking this right now. Do I leave the lid on or can I take it off to stir? Do I need to stir or move things around in the pot? Thanks! I took my lid off about 2.5 hours into cooking and put it back on right away (i got nervous so i wanted to make sure there was still liquid inside)….worst mistake ever!!!! Within 20 minutes i smelled burning. Im trying it again and not taking the lid off!! Wish me luck. Do you have any suggested modifications for doing this in a slow cooker? Also, I grew up with potatoes in the pot roast – think I could do this? you can definitely add potatoes! Damn good pot roast indeed! Thank you for the recipe! ! Hi there! Going to try this today! If I want to add potato, when should I add them to the pot? I don’t want them to be mush. Thanks! If I halve this recipe, should I halve the simmer time too? Why do you have to part cook the veg first. Wont they cook in the oven? Why do you need to cook veggies ahead of time? What if you didn’ t do that step, would it be as tastey? I plan on putting in crockpot….do I put on high for those same 4-5 hours or low? I don’t see what temperature this is supposed to be cooked. Did I miss it? can I use dried thyme and rosemary?? Can you add potatoes to the pot & cook it all together? Did you place the roast in with the foil when you reput it in? Thank you for this recipe it was so yummy and tender! My husband and I loved it!! I just made a short youtube video on this recipe and provided your link for the detailed recipe. This is the best roast ever!!!! And the only recipe I’ll use! Made this yesterday…..the aroma that went through my home everyone was asking when is this going to be ready.. Followed recipe and added potatoes…. Is it cooked on the stovetop? The recipe doesn’t say.. or is it 3-4 hours in the oven? With lid on? What temp should the oven be? Can you do this is a slow cooker? I would think so! I haven’t tried it, but would think 8 hours on low would do the trick:) let me know how it turns out! Best pot roast ever!! Added pitstop and celery and a tad of garlic Served with cheddar biscuits. My new go to recipe!